My first impression of the Longleaf Pine Savanna in Webb Wildlife Center was 'magical.' We fledgling Master Naturalists stood on the edge of the managed Longleaf Pine Savanna listening to the fascinating eco-history given to us by Bob Franklin, a Clemson Extension Agent. The trees were so tall, you had to stand way back to take them in. 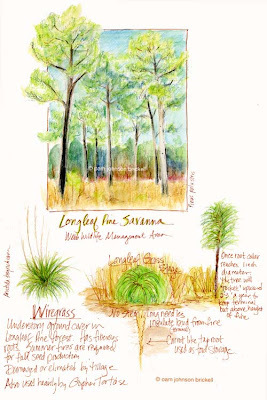 The diversity of plants in a Longleaf Pine Savanna rivals that of the rain forest! Did you know that there are 300 plants, 74 amphibians, 91 reptiles and 71 species of birds that require an ecosystem that has forest fires every one to three years?!? Wiregrass, Aristida beyrichiana, is the primary under-story ground cover. Summer fires are required for fall seed production. According to the USDA, the GA, FL Coastal Plain has the highest frequency of thunderstorms of any region of North America! Native Americans, of the southeast, came to learn the benefits of wildfires caused by lightning strikes. They would purposely burn areas to promote new plant growth that game would flock to, to eat the tender new shoots of plants. Their fire-managed ecosystem lead to consistent food stores. Prior to our field trip to Webb WMA, we had read the Sherpa Guide articles I've linked areas of this post to. You owe yourself some 'good reads' by clicking on these links. I'm fascinated by the Earth friendly ways of Native Americans. I am drawn to them like bees to honey. Thus, the 'magical' first impression of the Longleaf Pine savanna. 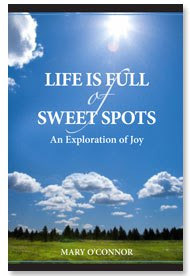 I could picture a lone NA standing in the tall grasses, an arm outstretched, feeling the tops of the grass. The same way Kevin Cosner stood on vast the prairie in Dances with Wolves. A peaceful beauty went right to my soul.